The Lovecraft Mythos is full of all kinds of wonderful weirdness. I dunno, Bruce. He still looks plenty terrifying to me! 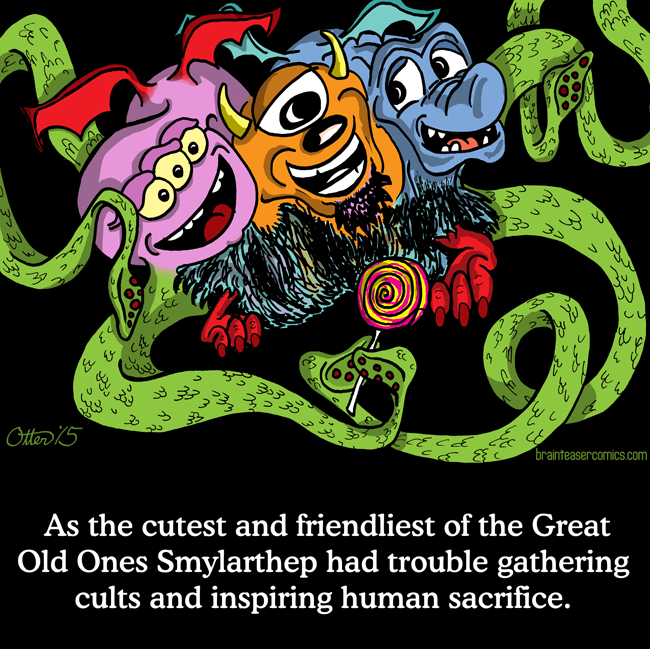 Yes, but after ripping a hole through time, space and dimension, he give you a lolli!